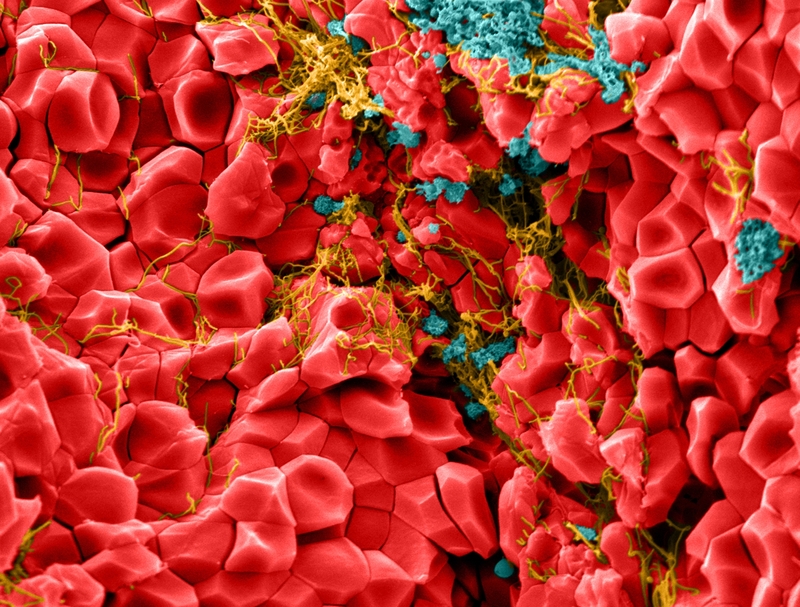 Caption: Angular red blood cells, called polyhedrocytes, held together by platelets (blue) and fibrin protein (yellow). Just as superheroes often change their forms to save the day, so it seems do red blood cells as they mobilize to heal a wound. Red blood cells usually look like oval, bi-concave discs, but NIH-funded researchers recently discovered that they are actually talented shape-shifters.